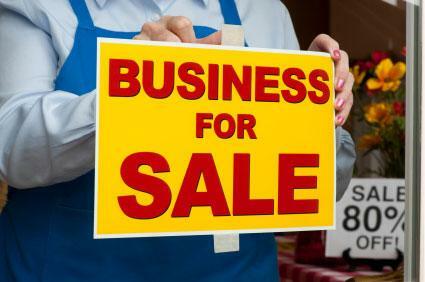 When a business owner or group of owners decides that they no longer want to operate the company, they may list their business for sale. This means that they are willing to sell the entire company's operations and customer list while typically keeping the staff intact. BizBuySell allows users to search for businesses and franchises that are for sale. Users can search by location, minimum and maximum asking price, and business type. The site also helps users value a business. Once a search is generated, users are provided with a description of the company, the asking price for the business, and the business' cash flow. BizBuySell is one of the largest online business listing websites. BizQuest allows users to search for businesses and franchises that are for sale in a particular state and industry. Users can further narrow their search within each industry. Generated search results provide a description of the company, the company's cash flow, and the asking price. BizQuest offers the listings of businesses for sale in the most variety of industries. Deal Stream allows users of this website to search for businesses for sale by industry group, type, and world region. Its advanced search option also allows for searching by price and date of listing. Generated search results provide a description of the company and a range for the asking price. The Better Business Bureau ranks this company at an A+. Another option for finding a business for sale is to hire a business broker. There are numerous benefits to working with a business broker, including his or her assistance with handling the large amount of paperwork that accompanies conducting a business sale transaction. Brokers usually charge a percentage of the price of the business as commission. Choose the broker that seems most familiar with finding the type of business you seek and with whom you are comfortable working. The industry and detailed operations: Consider what the business does and your familiarity with its main operations, but also with any subsidiary or other operations it engages in. Ensure that you're comfortable marketing, selling, and generally managing all aspects of a business. The company's size: This includes the business' number of employees, sales amounts, and number of locations. If you're looking for a small business, one with numerous employees and multiple locations is unlikely to be a fit for you. The business' location: Consider the available labor and costs of doing business in the specific area in which the business is located or does business. Note that the two may be different and affect a business' cash flow and revenue. If you're working on your own without the help of a business broker, make sure that you thoroughly understand the business' operations and its finances prior to making any purchase. Being honest about your capabilities: Buying a business in a specific industry might not be the best decision if you can't run a business or run a business in that industry. Ensuring that the business is as profitable as is claimed: Claims of cash flow should be substantiated by multiple years of documented records. Specifying the conditions under which you might be interested in purchasing a business: For example, don't buy a business in a burgeoning market if you're not interested in running that type of business; this helps you narrow down the types of businesses you'd be willing to purchase. List the reasons why they want to buy a business: Owning a business is difficult work; wanting to work less might not be the best reason for buying a business. Consider the seller's motivations: If a business is as profitable as claimed, why would the seller want to sell it? Options other than retiring or moving may indicate that there are problems with the business' cash flow. Make sure that a landlord will allow the buyer to take over the lease: Some landlords have agreements with a person and not the business; needing to move a company could seriously impact its operations and income. The numerous businesses for sale out there mean that there is likely one that meets your general conditions. However, prior to handing over any money, engage in due diligence and make sure that the business is the right one for you to purchase.